My sister worked with me for six weeks this summer. When I had nothing to do on the weekends, she would comfort me and take me out for ice cream. 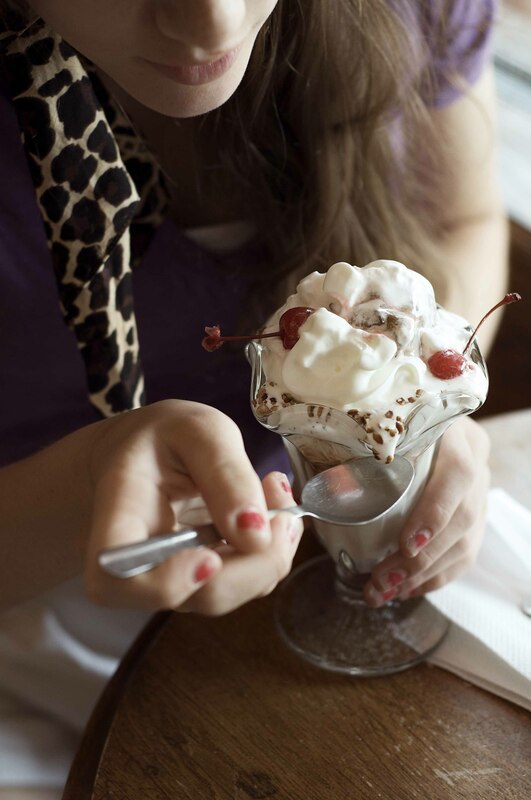 And when I say, “She took me out for ice cream,” I really meant, “I drove my car 40 minutes to the cutest little ice cream parlor that I had been wanting to show her and photograph for two years.” But it was still comforting and really excellently fun. 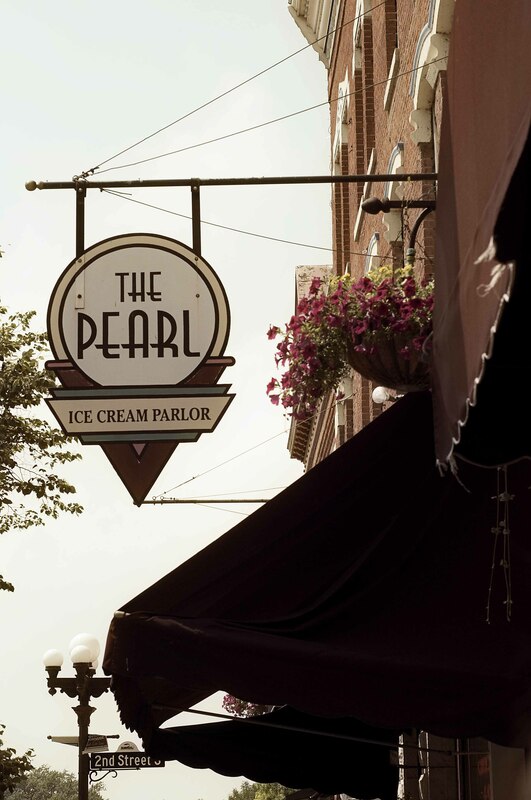 We went to a little place called “The Pearl” (obviously). Sidenote: I have been saying ‘obviously’ a lot. I can’t tell if this is a good thing or a bad thing. Ah well. 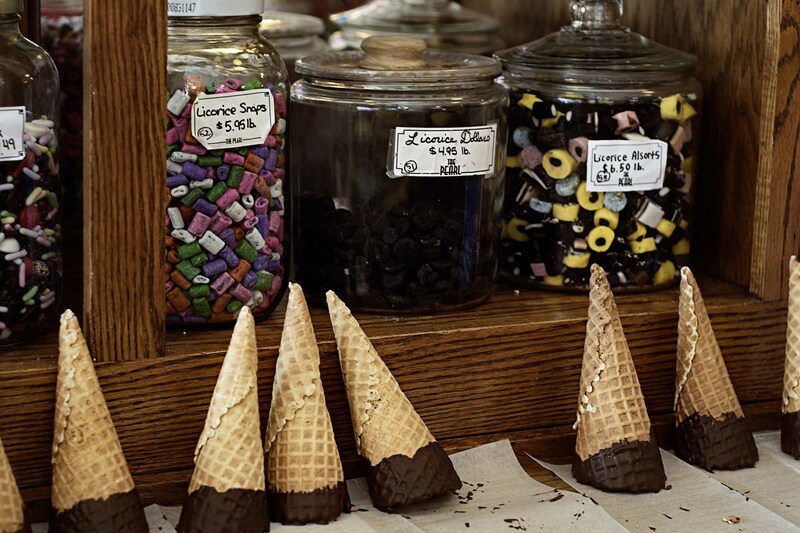 We walked in from a blisteringly hot day and were greeted with the delectable smell of homemade waffle cones. 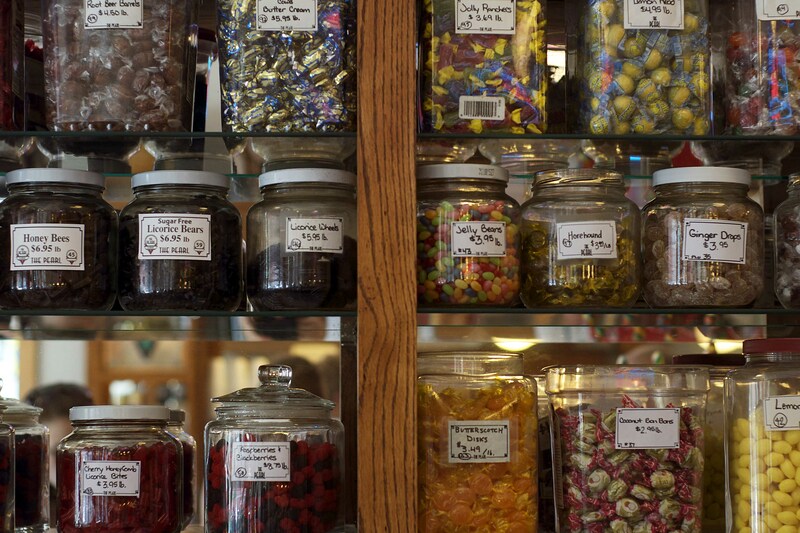 Our eyes were dazzled by the vast assortment of hard candies. It was like being on the set of Willy Wonka and the Chocolate Factory when that mildly creepy candy man sings songs in minor keys and pelts the pale children with sweets. 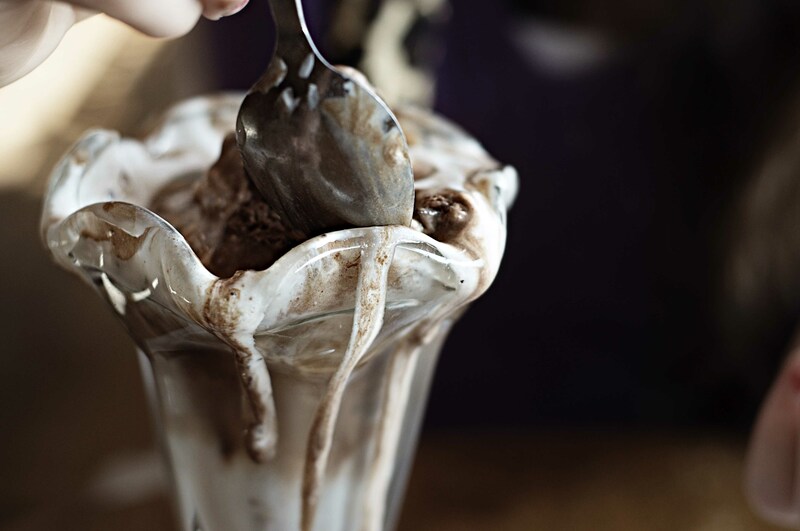 You for cute chocolate marshmallow sundae or unashamed messiness. And you for cute model sister who takes me on dates that I love with my whole soul. Today, I’m loving on Wades and I don’t care who knows it. 1) I get to wear sweaters and tights and boots. 2) I get to wear colors like maroon and plum and mustard. 3) I get to bust out the nutmeg, cloves, pecans, molasses, pumpkin and cinnamon in earnest. 4) Oh yeah, and I get to go to England. In honor of the approaching fall, I present this pumpkin cake with brown butter glaze. As we know from our previous experience with brown butter glaze, this glaze is awesome. It rully is. I apologize if I’m killing the joy of your remaining summer. Unlike some of my friends who honestly get inquiries from strangers as to whether or not they are of Hispanic descent, I’m still pale, and it’s the end of August. I can personally take or leave summer. And in this case (or post), I am waving goodbye to it. Unmold cake. 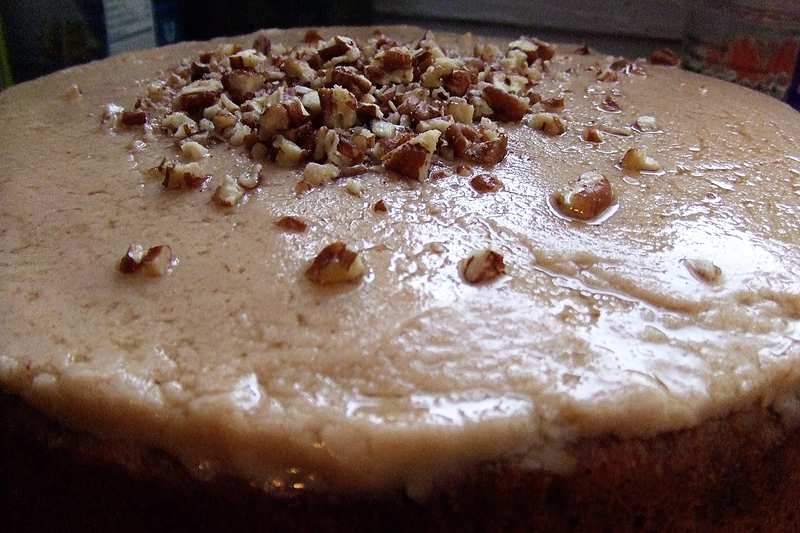 Using an offset spatula, spread icing over top of cake, and decorate with pecans, chopped or caramelized or whatever. In a small saucepan, melt butter over medium-high heat until nut-brown in color, about 10 minutes. Remove pan from heat, and pour butter into a bowl, leaving any burned sediment behind. Add sugar, vanilla, and 1 tablespoon milk; stir until smooth. 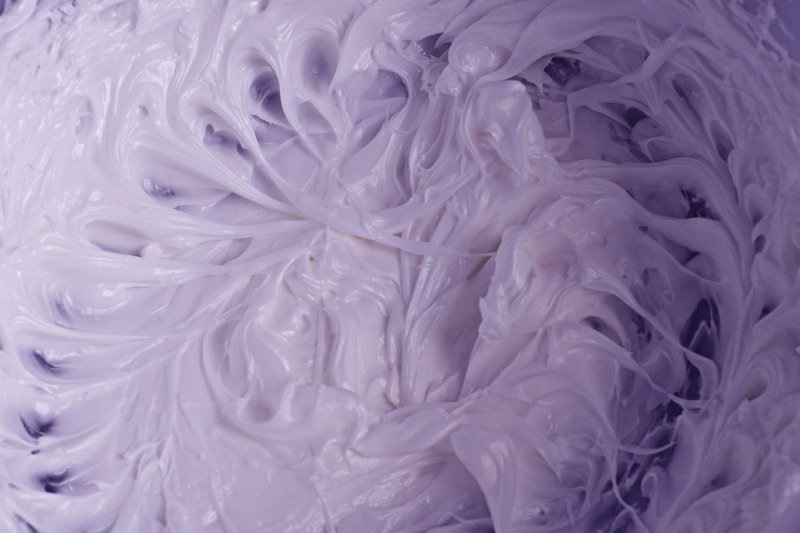 If the icing is too thick, add the remaining tablespoon milk, a little at a time, until consistency is spreadable. Let cool 5 minutes. Use immediately. HI CWISCO IT IS NICE TO MEET YOU. YOU ARE PRETTY AND A LITTLE WEIRD. I DO NOT KNOW WHAT I WOULD DO WITHOUT YOU. Layering cakes has become a pretty big part of my life. I mean, considering that I had never layered a cake before two years ago, they’ve pretty much taken over. I’ve layered so many cakes I should be re-named. Lauren the Layerer. Sounds sort of medieval, don’t you think? Like Franz the Ferrier or something. Ok. Moving on. I made a two-tier cake for my friend Amber’s wedding this summer. Each tier had four layers. Please excuse me while I give myself a pat on the back for making a cake with four layers. I’ve never done it before, and splitting cake layers is a particular baking fear of mine. Here’s how I layered it. Never mind my excessively messy hands. Please try and forget that I am not, in fact, a professional, and focus instead on my gloriously tan arms, courtesy of summer camp. Man, I’m falling more and more in love with myself as this post goes on. I feel a humbling situation coming soon. 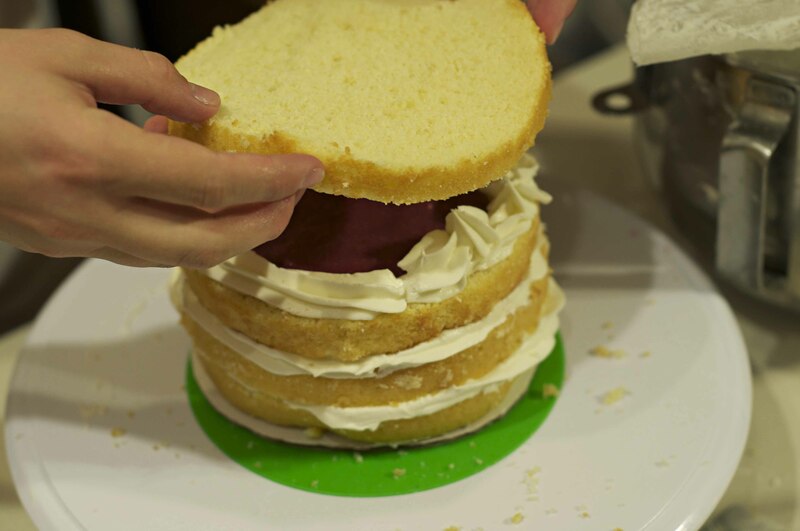 Step One: Cut out a piece of cardboard fitted to the bottom layer of your cake. If you are doing the bottom tier of a cake, the cardboard can be a little bigger than the cake, but I tried to cut this one really close because it was a second tier. It will make your cake easier to frost later on. 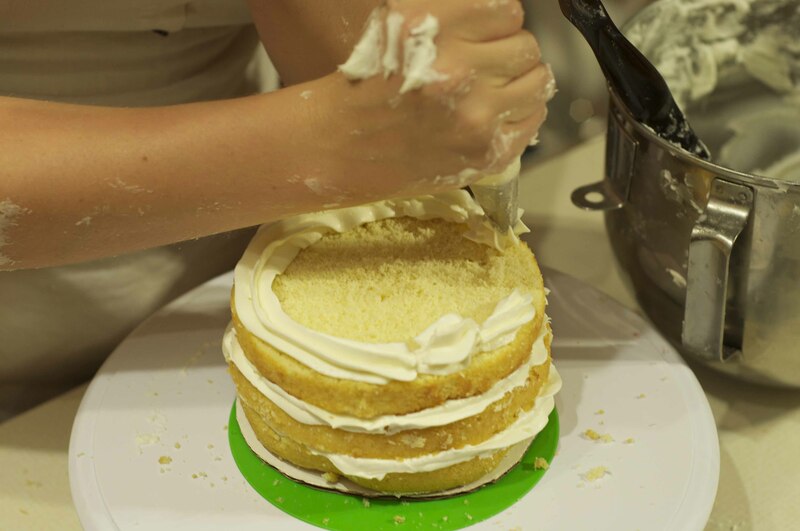 Step Two: Bake individual layers to stack, or depending on what your recipe calls for, slice your baked layers in halves or thirds. That’s what I did on the cake above and it worked pretty well. 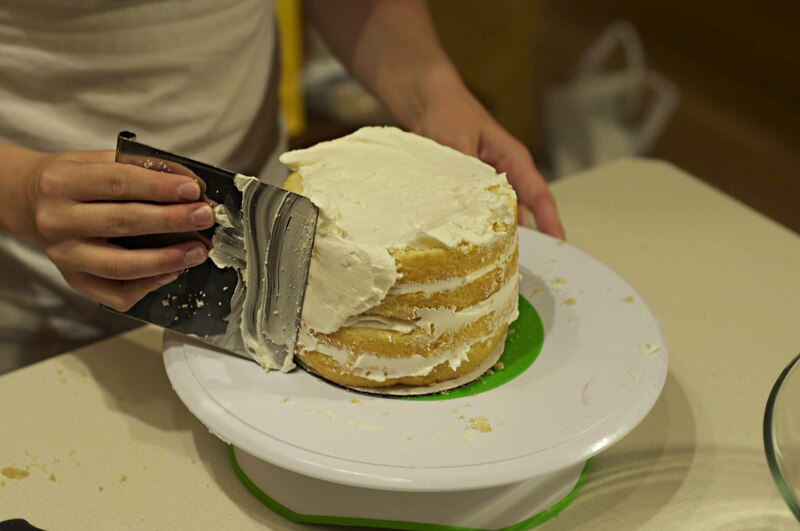 There are plenty of tutorials on how to slice cakes if you cared to know. Step Three: Pipe a big line of buttercream along the very edge of the cake tier. Make the frosting as thick as you want your filling to be else it’ll spill over, and that is no fun for anyone. Except perhaps sweet ants, who seem to have invaded the kitchen counter due to the high volume of weddings this summer. And by high volume, I mean three. Step 4: Pick your poison. In this case, a luscious raspberry curd. Jist don’t let it spill over your frosting line. 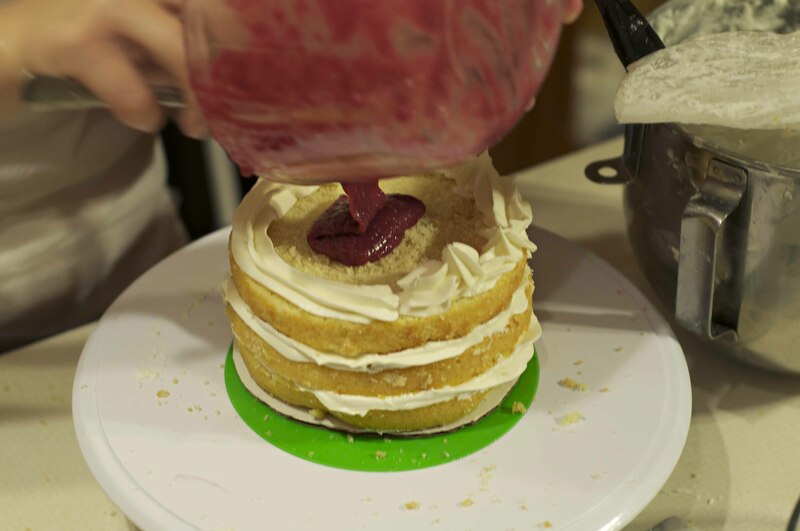 Step 5: Add your cake layer and press down lightly to seal the filling inside. In this instance, I would have preferred a bit more filling (see how low it is?). But I was working with what I had. Improvising. Step 6: Give your finished tier a good dirty ice and frost as desired. This is how the final product will look. Pretty ok, eh? 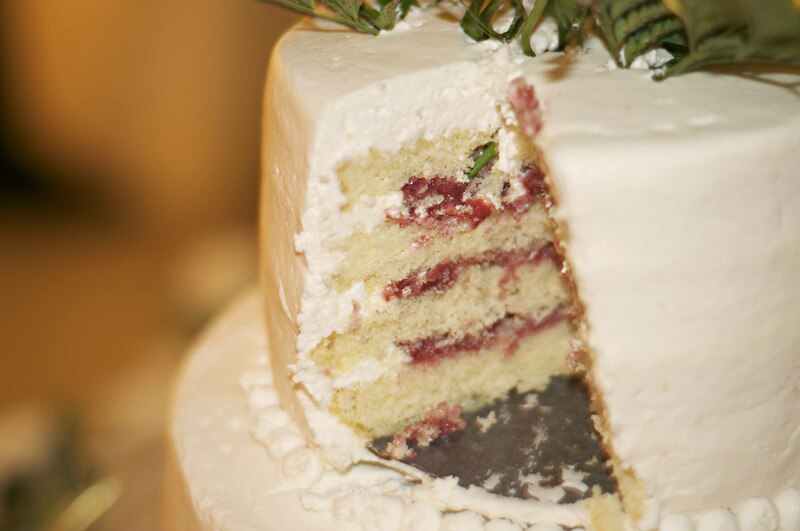 Layered cakes add such a delicate touch to any celebration. Go forth! You can do it! I have to be honest with you. In an attempt to spread out my posts throughout the summer, I separated two inseparable recipes. 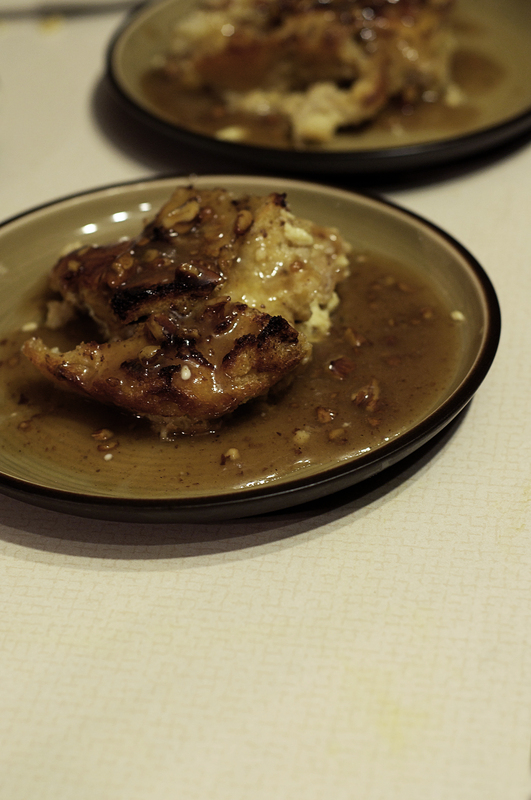 Namely, this caramel praline sauce and yesterday’s succulent bread pudding. In trying to be smart about time management, I have purposely sacrificed your potential satisfaction in yesterday’s recipe. And then no one would read my blog. I guess I’m taking chances, posting these two recipes separately. Like a risk-taker. Gosh, I wish I could say I was cool enough to be a risk-taker. And now for a completely random side note of Lauren philosophy. To anyone who says they like change: 1) I am jealous of you. 2) I don’t understand. 3) In my heart, I don’t actually believe that you are telling the truth. No one likes change, really. One of my mom’s many good qualities is that she can find things that other people I can’t. When I’m home, I usually lose shoes in the closet and spices in the cupboard. I’ll spend ten minutes looking for whatever I’m missing, I mean, really looking. Then I’ll give up, ask her to come find it, and she will spot it in approximately .63 seconds. Because the thing that I am looking for is right in front of my face. Story of my life. If you have any plans to make yesterday’s bread pudding (and I will take the liberty of saying that you should), do NOT leave out this sauce. Do not. It is essential. Heat 1/2 cup of the butter in a large saucepan until melted. Add the pecans and mix well. Bring to a boil. 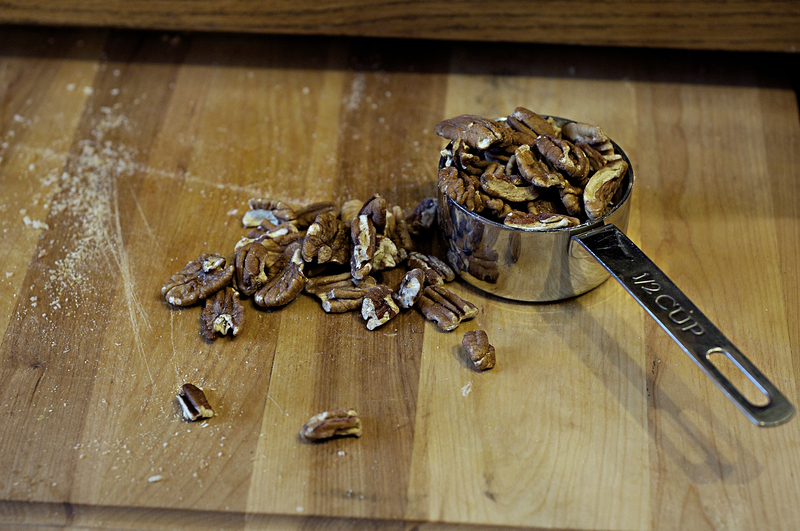 Cook until the pecans begin to change color. This mixture will foam over, so use a large saucepan. Add the remaining 1 cup of butter and mix well. This will cool the pecan mixture and stop the cooking process. Remove from heat. Combine brown sugar, whipping cream and cinnamon in a separate saucepan and mix well. Cook over low heat until blended, stirring constantly; increase heat. 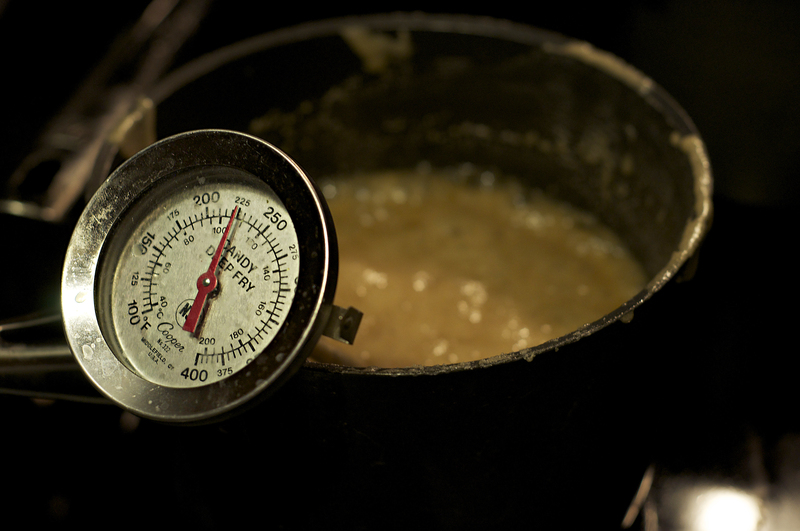 Cook to 230 degrees on a candy thermometer. 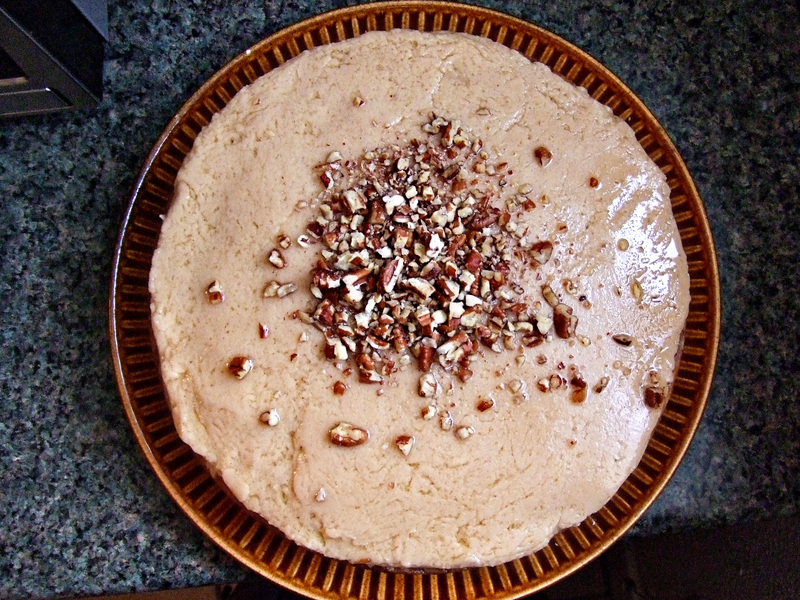 Stir in pecan mixture. Add sour cream and vanilla and mix well. Remove from heat. Bread pudding? Sounds like a carb-fest to me. Also, it sounds like it might be kind of English and bland. But Dad really wants me to make it. Where are you going to get a half loaf of French bread? But seriously, when have you ever been afraid of a carb-fest? You make cupcakes on a weekly basis. Yeah, but breads carbs seem eviler than frosting carbs. Hey look! Old French bread that nobody is going to eat! Ok, whatever. I’ll do it. So we whiskED up some cream and eggs. I don’t even want to tell you how much cream is in this, but I guess you’ll see at the end of this post. Please do not let it deter you. You will not know regret after tasting this. 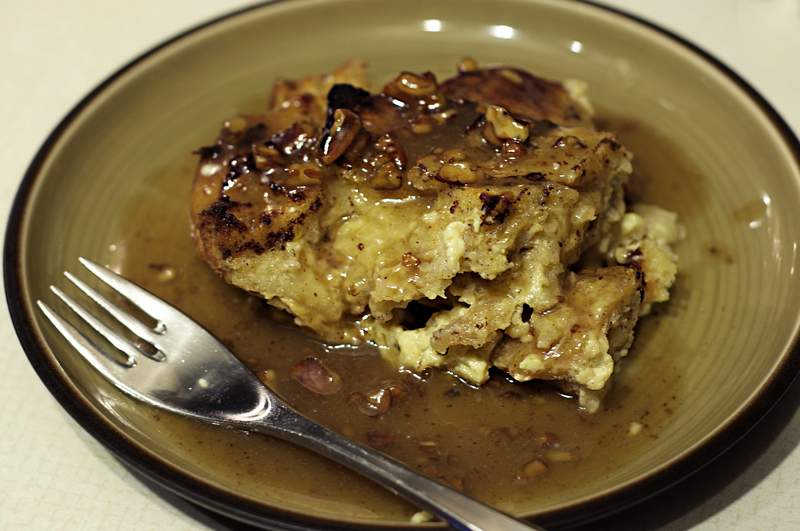 It turns out that in this case, my father was quite right about this bread pudding. It was not bland or boring. But it was a carb-fest. In my ongoing quest to be right, I can at least cling to that. It was a carb-FEST. 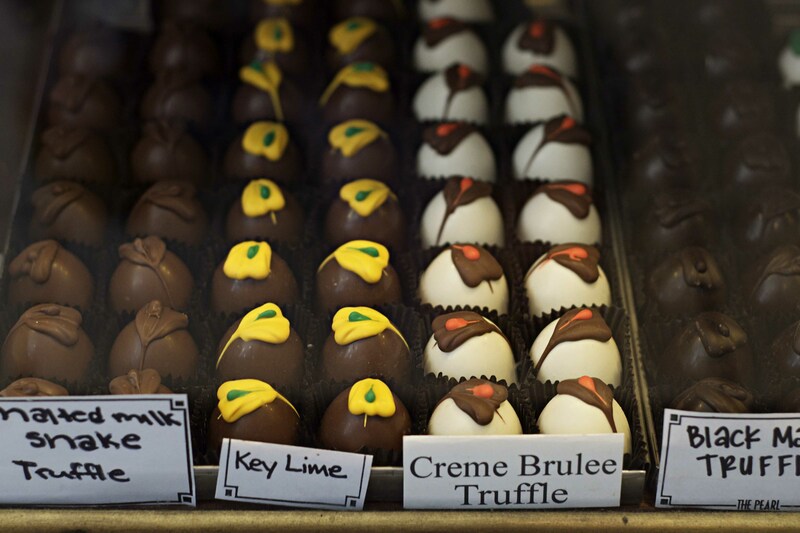 Thought: you could eat this right before a marathon. That would be perfect. For some reason, I had to bake this longer than the recipe called for. It seemed a bit too jiggly at first. I just kept a close eye on it and let it go for 10 minute intervals until it was less jiggly. Sorry I’m not being more specific. Blame it on my ISFJ personality or something. And if we’re talking about my problems now, might as well hit a few more. The jiggliness could be the result of not using the water bath called for in the recipe. Sorry, I just don’t have a pan big enough to hold a 9×13 and a bunch of water. And notice the weird cinnamon crusty dark stuff? I could have avoided that if I had mixed the cinnamon with the sugar before adding it to the wet ingredients. Please learn from my mistakes. Anyway, in the end, everything turned out just fine. 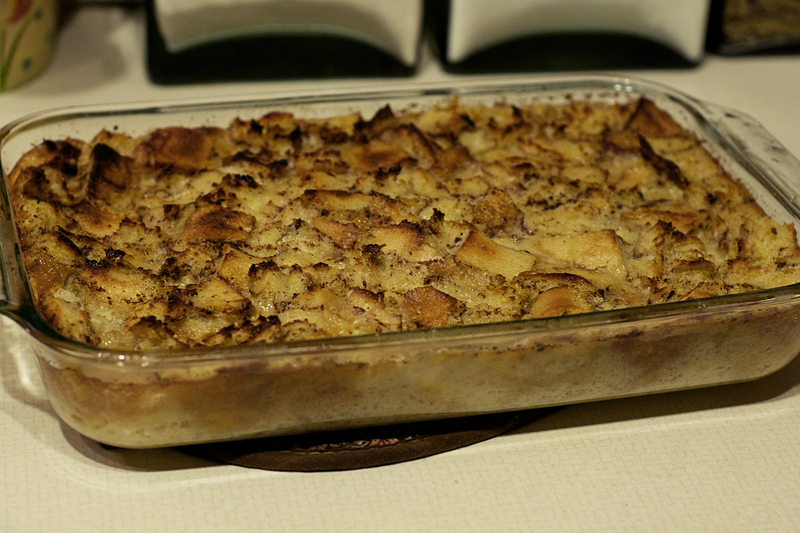 It was a wonderful bread pudding, and someday I will make it again. I would be interested to try it with different fruits. I can take or leave raisins. Let me know if you try it with something different, eh? Also, notice the sinful looking sauce draping the calorie-laden crags of the pudding? That recipe is coming next, so stay tuned. This recipe is not complete without it. I’m so adamant on that point. 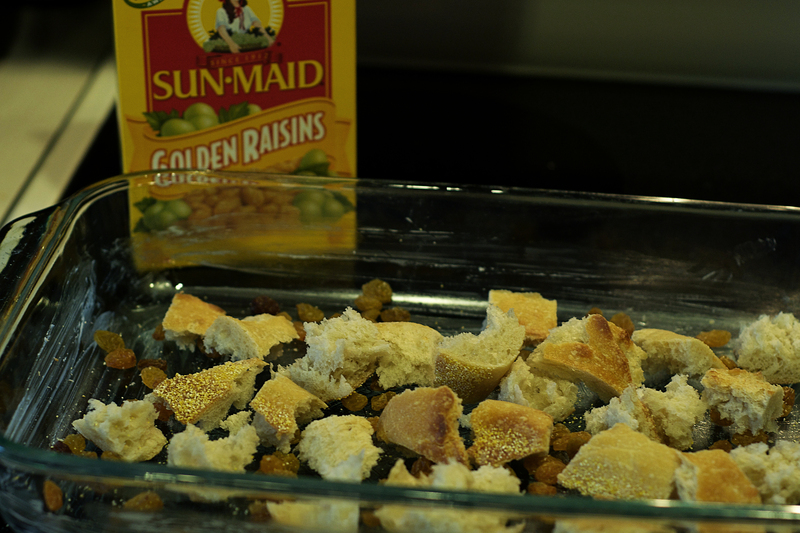 Evenly distribute crusts from loaf on top of raisins and sprinkle 1/2 of the golden raisins on top of bread crusts. Tear bread middles into 1”-2” chunks and evenly distribute on top of crusts. Separately blend sugar and cinnamon together in a large mixing bowl with a wire whip (like I didn’t). Crack eggs into bowl with cinnamon sugar; whisk eggs to blend. 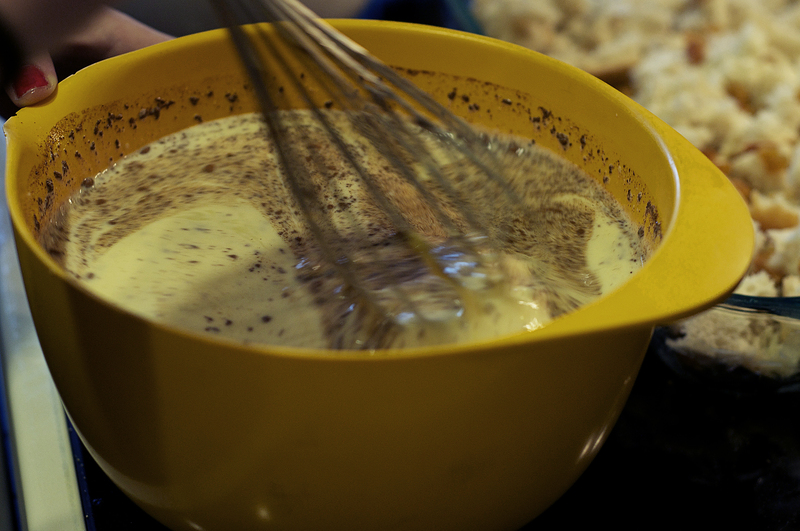 Add milk, cream, and vanilla to egg mixture and blend with wire whip. Pour custard mixture into pan of bread; use all liquid even though it will look like your bread is drowning. Trust meh. Press any visible crusts or raisins down into custard. Spray sheet of foil with pan spray and loosely cover bread pudding with foil. Place covered bread pudding in 4” roasting pan and add water to reach halfway up side of the baking dish. Place in 325 degree oven and bake covered for one hour; remove foil and bake another 20-30 minutes (or longer). Remove bread pudding from oven and cool on wire rack for 60 minutes. The pudding will continue to cook as it cools. Serve warm with praline sauce (to come!) and whipped cream and/or ice cream. 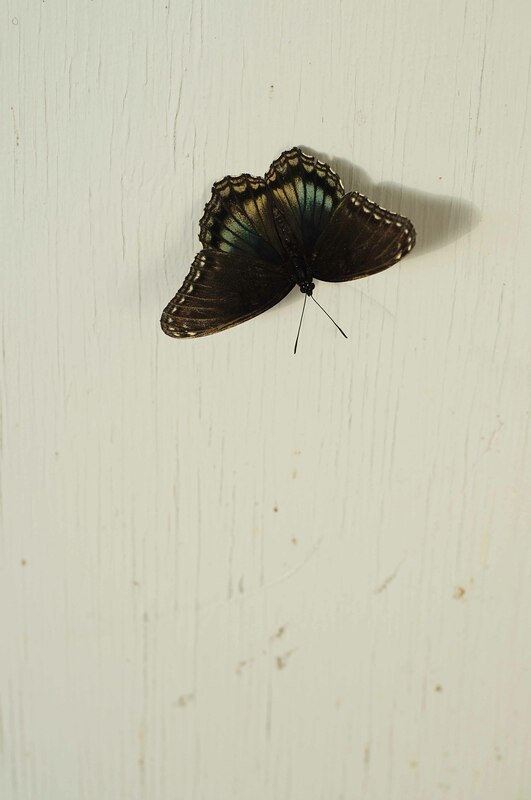 I love butterflies shamelessly. And it’s really ok because I’m a girl. 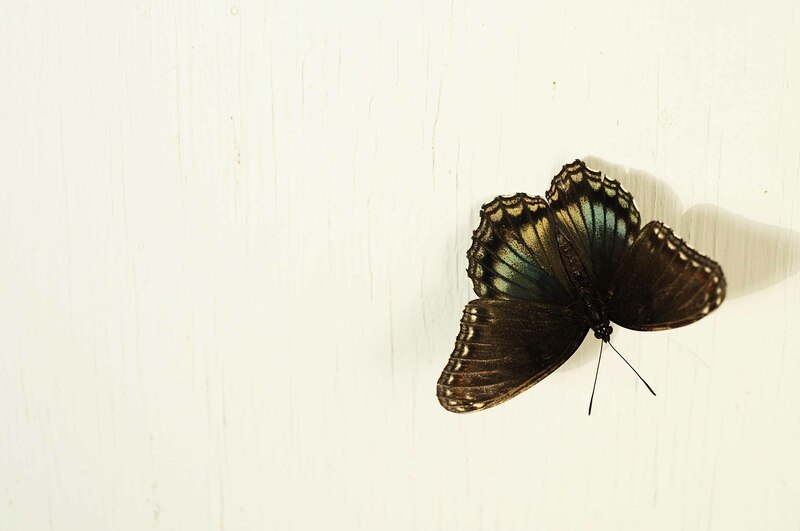 No one blinks twice at a girl who loves butterflies. But even if you blinked thrice I would still love them because they are so fabulous. Just look at this picture. 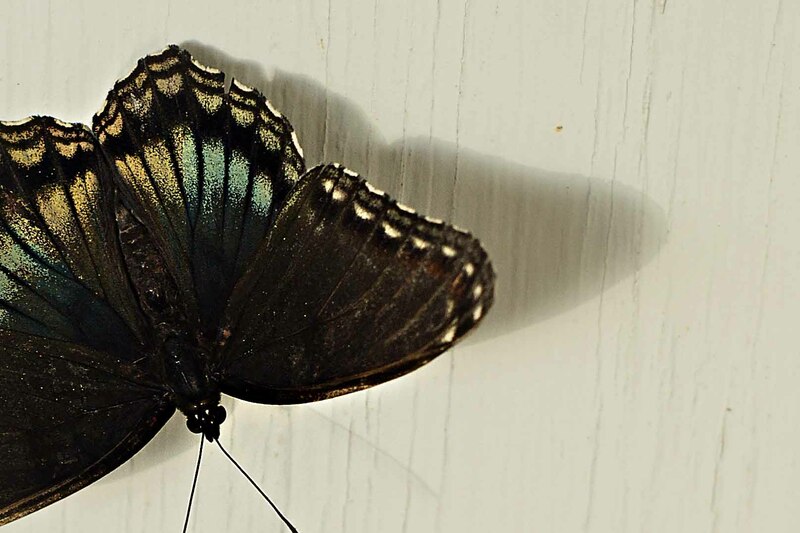 By the way, I totally faked this macro shot. I found this one after a morning run. I see a lot of wildlife in the mornings at camp. Surrously, I’ve seen prolly sixty bunnies on the road. Live on the road. It makes a run that would otherwise seem like folly a little more bearable. Because let’s be real, no one really loves going on runs early in the morning. You can like it, but ‘love’ is a little too strong for 6 am. Another random fact I learned about bugs this summer: Flies actually do taste things with their feet. Your fourth grade teacher was right all along.